Learn about trends in the Bar Business & Nightclub Business and where to find more info about how to open a bar business or nightclub business. Don’t forget you can receive free or low-cost training and free professional business advice, from your local Small Business Development Center! Get a free Bar Business & Nightclub Business business plan template on our Business Plans page. This Bar Business & Nightclub Business market research excerpt is from First Research which also sells a full version of this report. 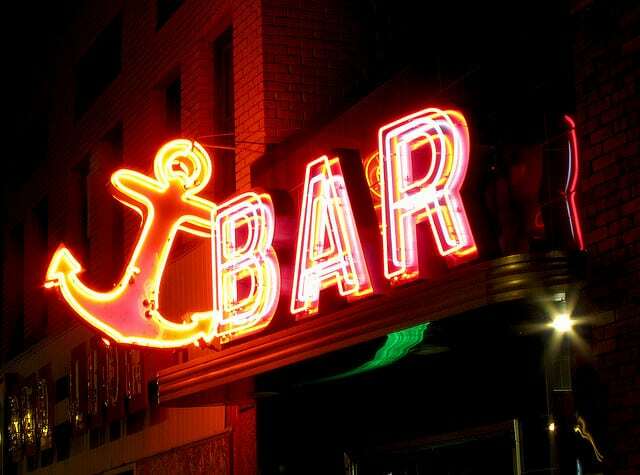 The US bar and nightclub industry includes about 45,000 establishments (single-location companies and branches of multi-location companies) with combined annual revenue of about $20 billion. No major companies dominate; varying state liquor laws complicate the ability to form large chains. The industry is highly fragmented: the 50 largest companies account for about 5 percent of revenue. Personal income and entertainment needs drive demand. The profitability of individual companies depends on the ability to drive traffic and develop a loyal clientèle. Large companies can offer a wide variety of food, drinks, and entertainment, and have scale advantages in purchasing, financing, and marketing. Smaaall companies can compete effectively by serving a local market, offering unique products or entertainment, or providing superior customer service. The industry is labor-intensive: average annual revenue per worker is about $60,000. Bars and nightclubs compete with other venues that offer alcoholic drinks or entertainment, including restaurants, hotels, and casinos. Drinking establishments also compete with the home consumption of alcohol. Major sources of revenue include beer (about 35 percent of sales), distilled spirits or hard liquor (30 percent), food and non-alcoholic beverages (20 percent), and wine (7 percent). Companies may specialize in certain beverages, like craft beers or martinis. Bar business & nightclub business revenues grew 3.5% in 2011 and is projected to increase 3.2% to $22.7 billion in 2012. This is a promising development since bar business revenue growth has been relatively flat since 2007: despite the projected 3.2% increase in 2012, the 5 year average annual revenue growth will likely be slightly negative (-0.7%) through 2012. Part of this trend owes to the large decline in bar and nightclub revenues in 2009, when industry revenue fell 9.3% due to a significant contraction in consumer spending and adjustments in alcohol consumption patterns. In 2010, the bar business and nightclub business industry began to recover with revenue growth of 1.1% over the year. Bar business and nightclub business revenues are considered luxury spending by many consumers. The Great Recession and accompanying higher unemployment rates brought lower consumer spending (down 1.9% in 2009), leading many consumers to reduce luxury spending, including trips to bars and nightclubs. A rebound in consumer spending (+2.0% in 2010, +2.3% in 2011) has brought many consumers back to the bars and nightclubs. Consumer spending is forecast to grow 2.0% in 2012, which should continue to help improve bar business and nightclub business revenues. The societal shift away from alcohol toward healthier lifestyles is contributing to a decline in the amount of household spending devoted to trips to bars and nightclubs. Over the five years to 2012, alcohol consumption should grow modestly by about 0.08% per year. IBISWorld notes an emerging trend: the increase in the number of consumers choosing packaged beverages for home consumption rather than at bars or nightclubs. This trend is expected to have lasting impacts on both the bar business and nightclub business. The number of bar & nightclub business establishments is forecast to decline slightly (an average of 1.0% per year to 66,602 in 2017), while employment levels are expected to slip an average of 1.2% per year to 345,253 in 2017. Despite these bar & nightclub business trends, revenues are expected to grow as the economy improves and consumer spending increases, with industry revenue projected to climb at about 2.5% per year over the next 5 years, reaching $25.7 billion in 2017. Target Customers. Householders under 35 spend 51% ($108.40 for 25 to 34 year olds) t0 58% ($113.55 for under 25 year olds) above the average household expenditure of $71.98 on beer and ale at restaurants and bars. Further, people who live by themselves and spend less than average on most typical consumer staples, tend to spend 6% relative to the rest of the population on beer at bars and restaurants. Ethnicity. Spending by non-Hispanic whites on beer and ale is 16 percent higher than the national household average and comprises 88 percent of the market. Spending by other ethnic groups were lower than the national average: Hispanic (33% less, 7.7% of market), Black (73% less, 3.3% of market), Asian (50% less, 1.9% of market). Geography. Differences in spending on beer and ale at restaurants and bar emerge regionally: Midwest (38% higher, 32% of market), West (2% higher, 23% of market), Northeast (11% less, 15% of market), South (19% less, 29% of market). Income levels. Households earning $100,000 or more spent 84% more than the average household on beer and ales, households earning $70,000 – $100,000 spend 21% more than average, households earning $40,000 to $70,000 spend about 15% more than average, while households earning less than $40,000 spend about 50% less than average. Target Customers. Householders aged 25 to 34 spend 66% ($83.25) above the national average household expenditure, householders aged under 25 spend 30% ($65.50) more than the average household expenditure, and householders aged 45 to 54 spend 11% above the national average of household expenditure ($55.62). Ethnicity. Spending by non-Hispanic whites liquor is 13% more than the national household average and comprises 87% of the market, spending by other ethnic groups relative to the national average: Hispanic (38% less, 7% of market), Black (51% less, 6% of market), Asian (8% more, 4% of market). Geography. Differences in spending on liquor at restaurants and bars emerge regionally: Midwest (1% less, 23% of market), West (33% more, 30% of market), Northeast (4% more, 19% of market), South (2% less, 28% of market). Income levels. Households earning $100,000 or more spent 82% more than the average household on liquor, households earning $70,000 – $100,000 spend 20% more than average, households earning $40,000 to $70,000 spend about 8% more than average, while households earning less than $40,000 spend about 46% less than average. Labor costs are important factors for bar & nightclub business owners. Here is a Bar & Nightclub Business labor market summary from the Bureau of Labor Statistics focused on Bartender Job Market Conditions. The median hourly wage (including tips) of bartenders was $8.98 in May 2010. The median wage is the wage at which half the workers in an occupation earned more than that amount and half earned less. The lowest 10 percent earned less than $7.60 per hour, and the top 10 percent earned more than $15.14 per hour. Bartenders’ earnings often come from a combination of hourly wages and customers’ tips. Earnings vary greatly, depending on the type of establishment. For example, in many full-service restaurants, tips are higher than wages. Many entry-level or inexperienced workers earn the federal minimum wage. However, many others earn more per hour because they work in states that set minimum wages higher than the federal minimum. Many bartenders work full time, and they must often work late evenings, weekends, and holidays. About 40 percent work part time. Employment of bartenders is expected to grow 9 percent from 2010 to 2020, slower than the average for all occupations. As people continue to dine out and drink at a variety of food and drinking places, many new bars, taverns, and restaurants are expected to open to meet demand. However, the growing popularity of take-out food and the growing number and variety of places that offer self-service or carryout options, including many full-service restaurants, will limit employment growth. Here is a Bar Business & Nightclub Business labor market summary from the Bureau of Labor Statistics focused on Food & Beverage Serving Worker Job Market Conditions. The median hourly wage for food and beverage serving and related workers was $8.72 in May 2010. The median wage is the wage at which half the workers in an occupation earned more than that amount and half earned less. The lowest 10 percent earned less than $7.54 per hour, and the top 10 percent earned more than $11.62 per hour. Some food and beverage serving workers receive customer tips. In some restaurants, workers contribute all or a portion of their tips to a tip pool, which is distributed among qualifying workers. Tip pools allow workers who do not usually receive tips directly from customers, such as dining room attendants, to be part of a team and to share in the rewards for good service. Although some workers in this occupation earn tips, the majority get their earnings from hourly wages. Many entry-level or inexperienced workers earn the federal minimum wage ($7.25 per hour as of July 24, 2009). However, many others earn more per hour because they work in states that set minimum wages higher than the federal minimum. Also, various exceptions to the minimum wage apply under specific circumstances to disabled workers, full-time students, youths under age 20 in their first 90 days of employment, tipped employees, and student learners. Tipped employees are those who customarily and regularly receive more than $30 a month in tips. According to the Fair Labor Standards Act, the employer may consider tips as part of wages, but the employer must pay at least $2.13 an hour in direct wages. In 2010, about half of all food and beverage serving and related workers worked part time. Food service and drinking establishments typically have long dining hours and offer flexible and varied work opportunities. Many workers work evenings, weekends, and holidays. Overall employment of food and beverage serving and related workers is projected to grow 12 percent from 2010 to 2020, about as fast as the average for all occupations. Employment growth will vary by specialty. Nonrestaurant servers, such as those who deliver food trays in hotels, hospitals, residential care facilities, and at catered events, are expected to have about as fast as average employment growth. Combined food preparation and serving workers, which includes fast-food workers, will also have about as fast as average employment growth. Because these workers are essential to the operation of a food-serving establishment, they will continue to be in demand. Employment growth of dining room and cafeteria attendants, counter attendants, and hosts and hostesses is expected to be slower than the average. Despite slower than average employment growth, these workers will still be needed to perform important duties at food-serving establishments as a growing population continues to eat outside of the home.